Homeowners across the North West might not realise it, but over the past year they could have been among the 250,000 people who’ve been ‘rescued’ by an unlikely team of heroes – six ‘water truckers’. 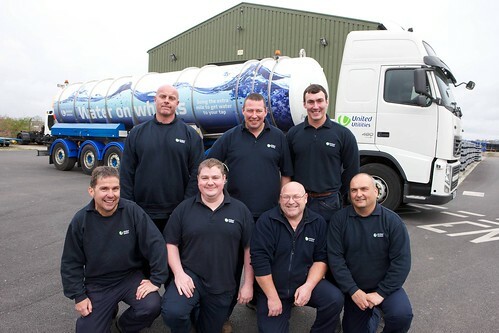 This crack team of H20 heroes operates United Utilities’ ‘Water on Wheels’ service – a fleet of bespoke Volvo 30,000ltr super tankers that travel to affected areas and pump water directly into the mains to ensure that properties continue to receive an ‘on tap’ service while repairs are carried out. Last year alone the water truckers, who service the entire region – from Crewe to Carlisle, helped keep over a quarter of a million people in full flow by pumping 24,770,000 litres of water into the system. 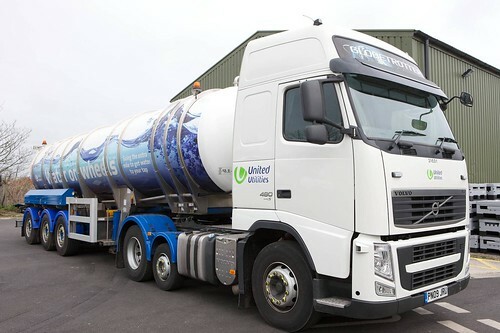 The service has been so successful that United Utilities is to invest over £1million in six new 30,000ltr tankers for the fleet, a move that will enable the water truckers to mobilise almost half a million litres of water when needed. For Emergency Plant Resource Co-ordinator John Doyle and his team of six super operatives, the investment is welcome news. He said: “The new kit means we are better equipped than ever before to provide help where it’s needed. Just recently our team kept five tankers pumping into the network for over 48 hours following a burst aqueduct in Rivington. Around 5,000 local people were kept on tap throughout and were unaware of any issue. If thats not enough, then you can always have a little look at the video. I have to say at the time of writing this I haven’t watched it, but I will get round to it sooner or later!! This entry was posted in NEWS, Volvo by truckbloguk. Bookmark the permalink.